The island country of Taiwan having a population of 23 million is keen on strengthening relations with the second largest economy in Asia, in the fields of trade, tourism, education, culture and business. The Democratic Progressive Party under the leadership of Tsai Ing-wen, had won the elections in January 2016, promising a policy different from the China-oriented approach of President Ma Ying-jeou of Koumintang or the Nationalist Party. 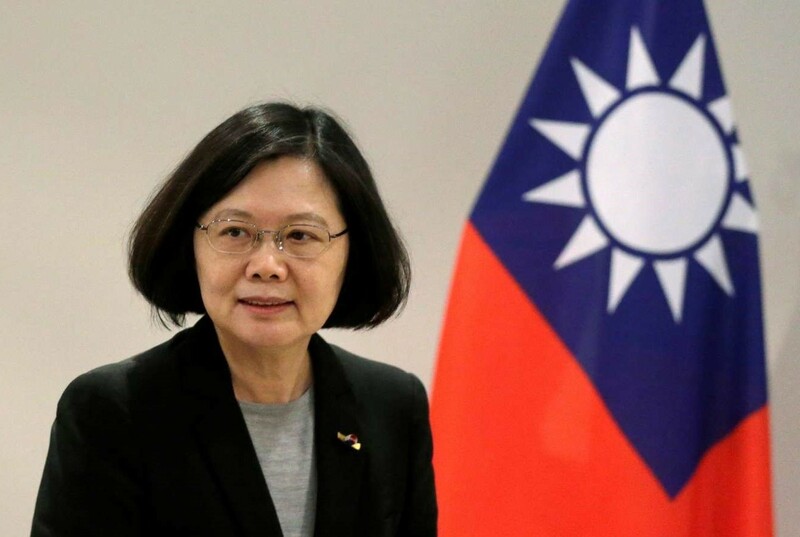 President Tsai, the country’s first woman President, who took oath of office in May, in her maiden speech, had stressed India as a priority country. “As per the new structure, Taiwan’s priorities are trade negotiations, free trade agreements and South-bound policy. For us, strengthening ties with 18 neighbouring countries — 10 in South Asia and six in Asia — are very important,” said John Chen-Chung Deng, Minister Without Portfolio, who has been tasked with the job of improving ties with India, to a group of visiting Indian journalists. He will visit India soon with an intention to strengthen bilateral relations. Mentioning India’s strong influence in the region, he said that relations would benefit both countries mutually. “Like India, Taiwan is a democratic country, and I don’t think both nations would have problems in doing business,” he said. “We are keen on doing business with medium and small enterprises. We can thus also engage with the local community and give jobs to India’s many talented young people,” he said. He regretted that Taiwan has not signed any major trade agreements with many countries except two, Singapore and New Zealand. “We want to sign more agreements with other countries,” he said. “Since 25 to 50 per cent of our economy is into manufacturing, our businessmen will be encouraged to have tie-ups in this sector,” he said. He confessed that many Taiwanese knew little about India. “We want more interaction with Taiwanese and Indians. The recent bilateral agreements on custom facilities, air transportation and agriculture will help more people-to people contacts,” he hoped. He also said Taiwan welcomes any proposals on Innovation from anybody and will be happy to implement them. He also mentioned about Taiwan’s ambitious plan of going 100 per cent green by 2015. At present, Taiwan uses only 16% of nuclear power. Bilateral trade grew from $1.19 billion in 2001 to $5 billion in 2015 with Indian exports at $3 billion and imports at $2 billion. 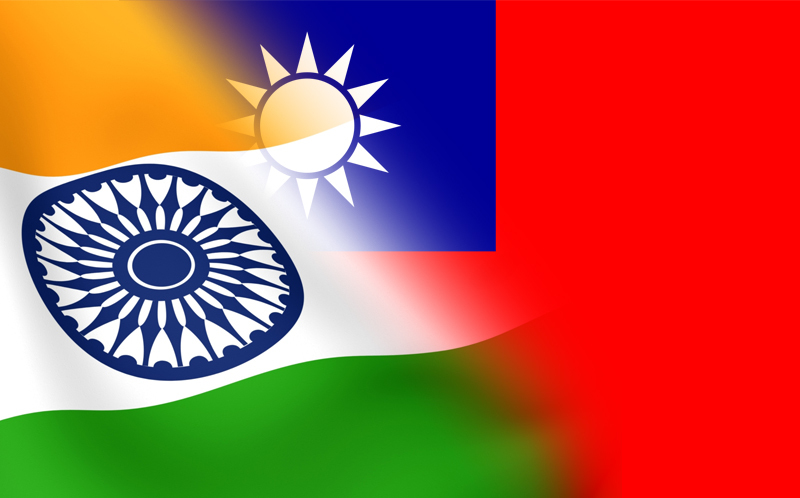 Taiwan, which is strong in hardware, hopes to work closely with software experts from India. Already about 2,000 Indian information technology professionals are working there. India ranks seventh in world’s economy. Taiwan believes that India’s rank will go up by 2025, even crossing China. “We want good relations with every country, including China. Former Taiwanese President Ma and Chinese President Xi Jinping had first met in 2015 in Hong Kong. Another meeting between Tsai and Xi is possible,” he said. He said that Hong Kong people aged between 15 and 40 years support Taiwan’s democracy. Dr Tien-chin Chang, Deputy Minister, Mainland Affairs, called for continued talks with China on bilateral issues. “We are always for negotiations with Mainland China and communications between high ranking officials should continue. We want that the status quo of the 1992 agreements should remain. Of the 23 clauses, two are yet to be resolved,” added the Minister. Regarding educational ties, Dr Tien-chin Chang said, “We want more Indian students to study in Taiwan. Our universities are of international standard and are recognised by many well-known universities both in India and abroad. We are keen on giving practical training to foreign students and are encouraged to stay back in Taiwan after their studies,” he said. Taiwan has announced more scholarships to students from Southeast Asia and India as part of its ‘New Southbound Policy’. Beginning this year, Taiwan will offer 182 scholarships to students from Southeast Asia and India per year, from the present 97. Each student will be awarded NT$400,000 per year under the programme. The government will also encourage local universities to take foreign interns. “Taiwan government’s goal is to raise the number of Southeast Asian students who study or receive training in Taiwan by 20 per cent per year, up from 28,000 to 58,000 by 2019, said Hsiao Wei Chiang, Associate Vice President, Office of Global Affairs, National Tsing Hua University, where a large number of 200 Indians are studying. On Diwali, about 1,200 students from other universities assemble here for celebrations. “We are planning to create an overseas Taiwanese database and exchange platform (for foreign graduates of Taiwanese universities, Taiwanese businesses operating abroad, and overseas ethnic Chinese,” said Connie Chang, Director General, National Development Council. “About 4.2 million Chinese tourists used to visit Taiwan, but their number has drastically come down since the new government took office. But the total number of tourists visiting Taiwan remains the same as more people from other countries are opting Taiwan as their tourist destination,” said Ying-Huei Cheng, Deputy Director, International Affairs Division, Tourism Bureau. Jose Kalathil is a senior journalist based in New Delhi. With more than three decades of experience in different publications in India and Nepal, he is comfortable writing on any topic under the sun.